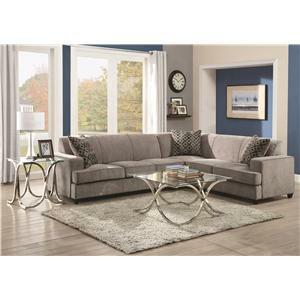 The only thing you wont get from this sectional is a lack of seating space. 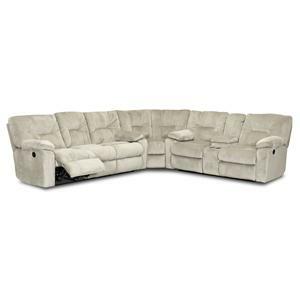 This large reclining sectional sofa can comfortably seat six and could easily fit many more if you're willing to get cozy. 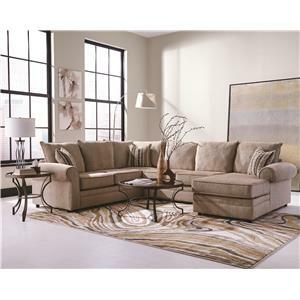 The mellow style incorporates lush pillow top arms, full chaise lounge pads on the foot rests, and large, seat back cushions with mid back stitching. All of which comes together to create an easy going and relaxing sofa. The loveseat console has two cup holders and storage compartment which makes a great place for remotes, video game controllers, phone chargers and much more. 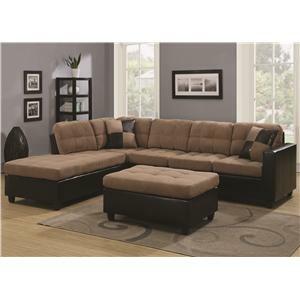 Power reclining release is featured on this sectional. With the press of a button you can easily recline to your desired position and back again. 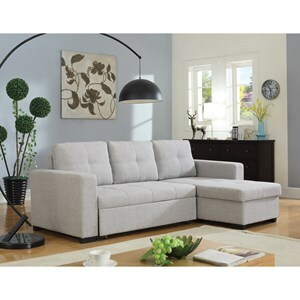 The Toronto Casual Power Reclining Sectional with Pillow Top Arms and Storage Console by Klaussner at Value City Furniture in the New Jersey, NJ, Staten Island, Hoboken area. Product availability may vary. Contact us for the most current availability on this product. 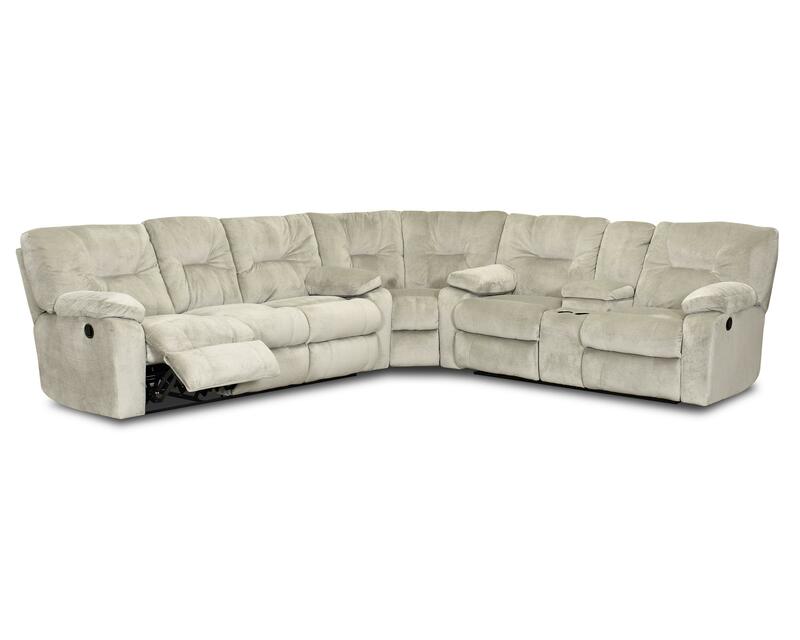 57703 PWRS Power Reclining Sofa 1 85" 41" 40"
57704 90SEW 90 Degree Wedge 1 65" 42" 40"
57703 PWCRL Power Reclining LS w/console 1 77" 41" 10"
Browse other items in the Toronto collection from Value City Furniture in the New Jersey, NJ, Staten Island, Hoboken area.